Given the increasing pressure to speed up drug development and make the process more cost-effective, pharmaceutical companies want to ensure that their most promising drug candidates hit the market. 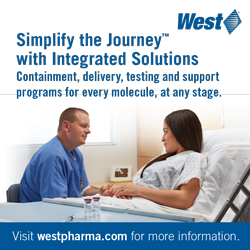 However, while speed to the clinic – and then to market – is often thought to be key to success, it is equally important that formulation, process development, scalability, and stability challenges are addressed by systematic, smart scientific solutions to de-risk the drug development process so that costly late-stage failures can be avoided. As drug products move from preclinical through Phase IV development stages, clinical material demand grows tremendously. Production scale-up is rarely straightforward, with time-consuming, expensive, and unexpected challenges often entering the picture. In early stages of drug development, the drug substance (DS) is developed using a certain synthetic route and may not be a final process. The physicochemical properties of the DS may change with improved synthetic routs or a better crystallization process, resulting in an improved impurity profile. However, this may drastically change the physicochemical properties and the behavior of the active pharmaceutical ingredient (API). The challenge is greater with products with a higher dose and higher drug loading in formulations. Formulation and processing scientists face many scalability and processing challenges. It is important to address these challenges with smart solutions with minimal or no impact to in vitro release profiles, in vivo performance, as well the efficacy of the drug. 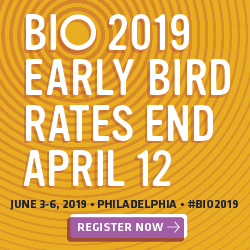 Any major change to drug product formulation or process may require rework – repeat bio or clinical study and data generation to support the robustness of the process and stability in the filings/submissions. Early clinical-stage capsules or tablets are developed on a small scale sufficient for a proof-of-concept and for a small clinical study. Often due to the small batch size requirement, the drug products are manufactured on manual, semi-automated equipment. Alternatively, they are manufactured on slow-speed equipment to conserve the material and to have better control over the critical process parameters. Upon successful Phase I clinical read out, the drug products need to be scaled up or reformulated into a scalable dosage form. Often, capsules made using a simple blend formulation need to be modified, and scalability is a critical consideration. The challenges experienced and smart solutions to overcome them are described further. To improve the flow-ability of powders and formulating a scalable tablet or capsule, many techniques can be used. The most commonly used solution is to formulate the API into granulations using the appropriate granulation technique – dry granulation, high shear wet granulation, or fluid bed granulation, based on the stability of the API and its forced degradation profile. Additionally, suitable binders will help in creating a flowable granule structure with improved flow properties. Commonly used binders are cellulosic derivatives (HPC, HPMC, PVP, Pregel Starch, etc). The optimal granule properties can be obtained by choosing the right viscosity of the binders. 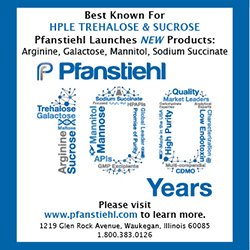 With high drug loading and poor flow characteristics of the API, the flow of the blends can be improved using a different grade of fillers such as microcrystalline cellulose (eg, Avicel PH 102, 302, 200 etc) or varying lactose grades or mannitol grades to a varying particle size that can improve flow properties. A formulator can also use co-processed excipients such as microcrystalline cellulose with silicon dioxide (eg, various grades of Prosolve, etc). Drug substances that have a tendency to pick up moisture can impact the granule flow properties. Small amounts of adsorbents, such as colloidal silicon dioxide or other silicates, can help in adsorbing the excess moisture and also act as lubricant, thereby improving the flow of granules. Use of lubricants and glidants, such as magnesium, calcium stearate, or sodium stearyl fumarate of different particle size and surface area, can help improve flowability of granulation. As mentioned, modifying the process from a direct blend to granulation by one of the aforementioned techniques can transform the poorly flowing blend into a flowable material. Based on the type of binder used and the type of granulation method used, one can obtain either a dense or a light granulation. Typically a high shear granulation and dry granulation (or roller compaction) results in a dense granulation, whereas a fluid bed granulation results in a less dense granulation. The flow properties by any of these granulations will certainly be better than pure API or its blends. 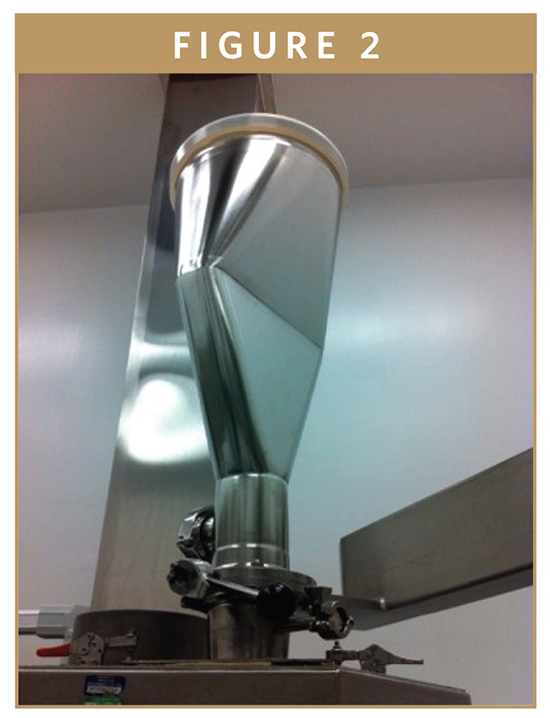 The ideal flow of materials in pharmaceutical processing is a mass flow that results in a uniform flow through a hopper into blending, encapsulation, or tableting. 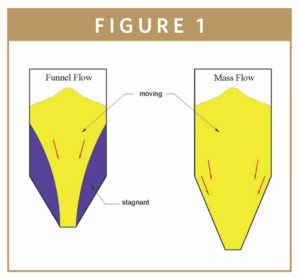 A mass flow ensures content uniformity of the API and the functional excipients in the blend irrespective of the drug loading in the granulation. Figure 1 depicts the types of flow through the hopper. 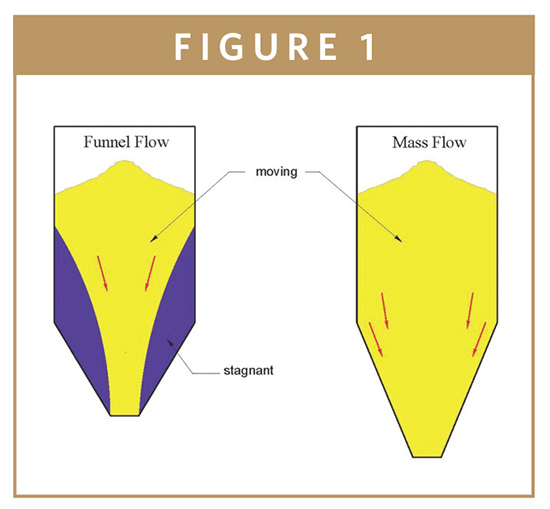 Funnel flow is a non-uniform flow and is often referred to as a phenomenon called “rat holing,” whereby material adheres to the walls of the hopper, resulting in challenges in content uniformity of the API in the blend due to erratic and inconsistent flow pattern. Various engineering solutions have been adopted in the industry to overcome the challenges of flowability of granulations. Examples include changing the geometry of mixers, blenders, and hoppers. One such example is shown in Figure 2. A double transition hopper design was adopted to improve the flow properties of the granulation. This design provided flow along the walls (mass flow) based on wall friction results and minimizing arching potential, based on cohesive strength results. This hopper design was “more robust,” with respect to providing mass flow, than a simple conical hopper. Other examples of improving flow of materials through the hopper are using vibratory mechanisms to ensure a mass flow or having a paddle stirrer in the hopper to avoid the “bridging” and adherence of the granulations to the side of the walls. The uniform flow of granulation on the turret of the tablet press and a uniform feeding of the granulation into the die cavities can be accomplished by forced feeders. The type of paddles and its design will impact the flow of granules in the die cavities of a rotary press. It is more critical in case of high-speed tableting, where the rate of feeding without the potential of segregation is important for uniform tablet weight. The right geometry of the forced feeders on the tablet press has shown to impact the feeding as well. In one of the case studies during tableting of a bilayer tablet on a Korsch XM12, the feeding of the granulation into the die cavity for the first layer was satisfactory, but the granulation feeding for the second layer was not satisfactory, resulting in an underweight and inconsistent layer 2 of the bilayer tablet. This was observed on a scale-up study using a larger batch size at a pilot scale during Phase IIb/Phase III, hence changes in the formulation composition or major process change to densify granulation was not an option. Trials were conducted through switching the granulations for the layer 1 and layer 2, but the results were still not satisfactory for layer 2, as the feeding continued to be inconsistent. 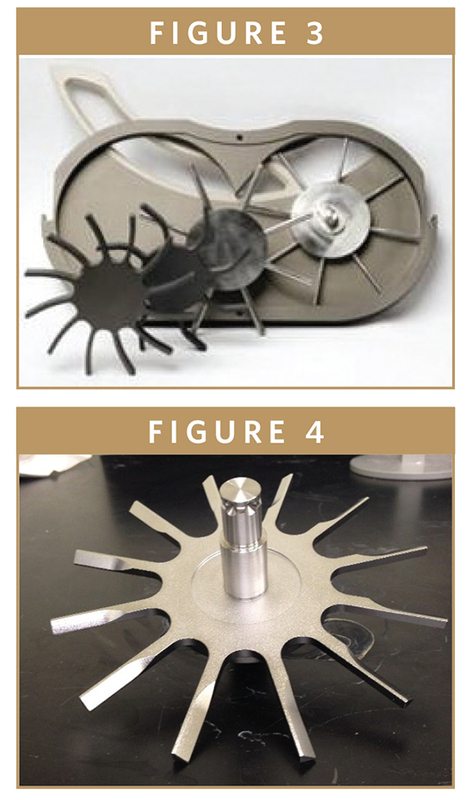 Changing the geometry and angle of the impellers of the forced feeders finally resulted in a consistent and uniform granulation feeding into the die cavities for both layers and the bilayer tablet could be compressed at a high speed. Figure 3 shows the initial impeller, and Figure 4 shows the changed impeller. A large number of new small molecular entities exhibit high hydrophobicity and cohesivity, or sticking tendency, to the contact surfaces of the processing equipment such as blenders, granulators, and tablet presses. Active substances are often micronized to increase the surface area of the drug substance with an aim to improve the solubilization rate and extent. A micronized API often exhibits static charges and adheres to the walls of the containers, plastic bags used to transfer, as well as processing equipment. Cohesion or adhesion to surface parts can result in inconsistent funnel flow, rat holing, and content uniformity issues. 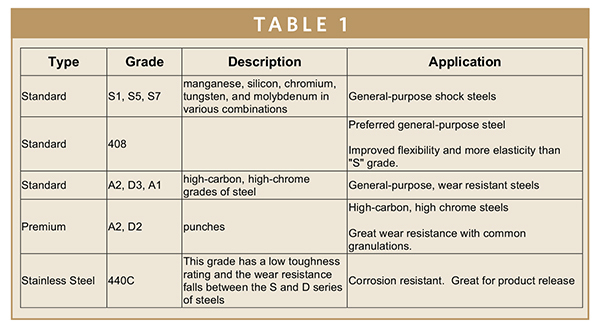 In addition to flow aids such as stearates, colloidal silicon dioxides and other lubricants help to reduce the static charge issue, sticking/adherence of materials need further investigation to adopt appropriate solutions. Sticking tendency or adhesion of powder blends or granulation can be a result of high residual moisture content in powder blends/granules or a low melting point of one or more ingredients in the formula. Low melting point APIs, waxes used in controlled release matrices or permeability enhancers such as Gelucires (Gelucire 44/14, 48/16 or 50/13) exhibit softening tendency in pharmaceutical processes where shear or friction is involved. Typically, the adherence of materials is observed during milling (adherence to the screen), tablet compression (sticking to the die walls, in the die cavity, to the turret table or to the tooling) or encapsulation (sticking to the tamping pins). Using different grades of stearates or silicon dioxide with different surface areas can have a remarkable influence in lubrication and reducing the problem of sticking. Tableting processes that are susceptible to film formation and sticking are problematic, inefficient, and not cost-effective. In many cases, the compression process must be terminated early or processing times increased (due to the requirement of frequent cleaning and reinstalling to restart the compression process). This may lead to physical properties of the tablet, such as tablet thickness and embossing quality, being compromised. Lower tablet yields and long equipment downtimes can substantially increase manufacturing costs and reduce product profit margins. Modification of a tableting process can sometimes reduce or eliminate film formation or sticking during compression without making any drug formulation changes. Modifications include changes to pre-compression force, compression force and tableting turret dwell time/speed. These modifications may be helpful in delaying the sticking behavior. Use of antistatic mats or grounding of equipment have shown to reduce the challenges of static charges. An alternative solution could include using coatings on the tablet tooling or tamping pins of an encapsulator. The commonly used surface materials used in coating are described further. Coated tooling have been commonly used to avoid sticking and also prolong the life of the tooling. Another potential solution that can be attempted is the use of a different grade of steel for manufacturing the tablet tooling. 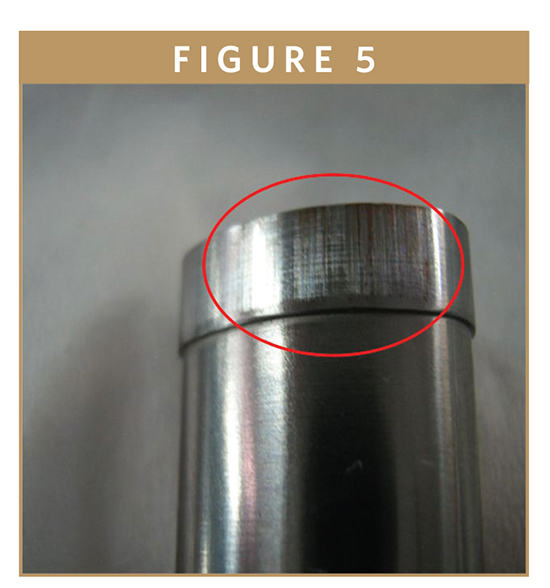 In one case study, during compression of a granulated blend on a high-speed tablet press, we observed adherence of the material to the tooling as well as damage to the tooling after inspection. 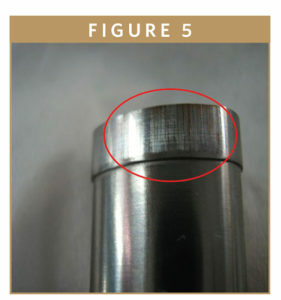 The tooling showed scratches as shown in Figure 5. Varying pre-compression, main compression forces, turret dwell time and pressspeed failed to eliminate or reduce film formation,sticking, and damage to the toolingtip. Press turret, fill cams, guidingcams, lower and upper punch bore werere-inspected for any misalignment or tractiondamage. After evaluating all variables, new tooling was designed with die hardness higher than the upper and lower punch. Increases in the die hardness also increased the tensile strength of die material and improved the compression process without interruption. Tooling made with S7 grade of steel finally solved the problem. Often a formulator, process scientist, or engineer faces scale-up, manufacturing, and process challenges due to the nature of API, its formulation, or selected process. In early phases of development, there are options to modify the qualitative formulation to overcome the challenges of flowability, cohesion, and others by adding newer functional excipients. Beyond a certain critical stage of development and clinical trials, it is often impossible to make major changes in formulation or process, as these changes may warrant repeating clinical studies, stability studies, and the need to justify the impact of these changes to the quality and safety of the drug product to the regulators. Many smart formulation process or engineering solutions can be applied to overcome challenges of the material properties to successfully manufacture quality products at the development and commercial scale with minimum to no clinical or regulatory impact. To view this issue and all backissues online, please visitwww.drug-dev.com. Dr. Anil Kaneis the Executive Director, Global Head of Technical & Scientific Affairs, Pharma Services, Patheon, part of Thermo Fisher Scientific. He has more than 25 years of experience in the science and business of taking molecules through the entire drug development process. His extensive knowledge spans early stage development to scale-up and commercial manufacturing, and includes technical transfers between global sites and drug life cycle management. Dr. Kane earned his Bachelors, Masters, and PhD from the University of Bombay, India, and served as a post-doctoral fellow at the School of Pharmacy, University of Cincinnati, OH. 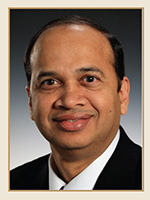 He has also earned an executive MBA from Richard Ivey School of Business, University of Western Ontario, Canada. He is a member of various international pharmaceutical professional organizations, and is often asked to speak about scientific topics on formulation, technology, other technical aspects, QbD, etc at major industry events. He has also published many articles in International journals and delivered many talks at meetings and conferences across the globe.